An expanding global demand and expanding domestic energy reserves have fueled renewed interest in America’s oil & gas business. With a growing distaste for our dependence on foreign sources of oil, companies both large and small are scrambling to find domestic reserves in commercial quantities. This aggressive approach has led companies to search for and produce oil and natural gas, hydrocarbons, in locations previously considered too close to residential and commercial development. And while exploration companies generally go the extra mile to accommodate and appease affected landowners, one issue has proven more challenging than most: Noise. 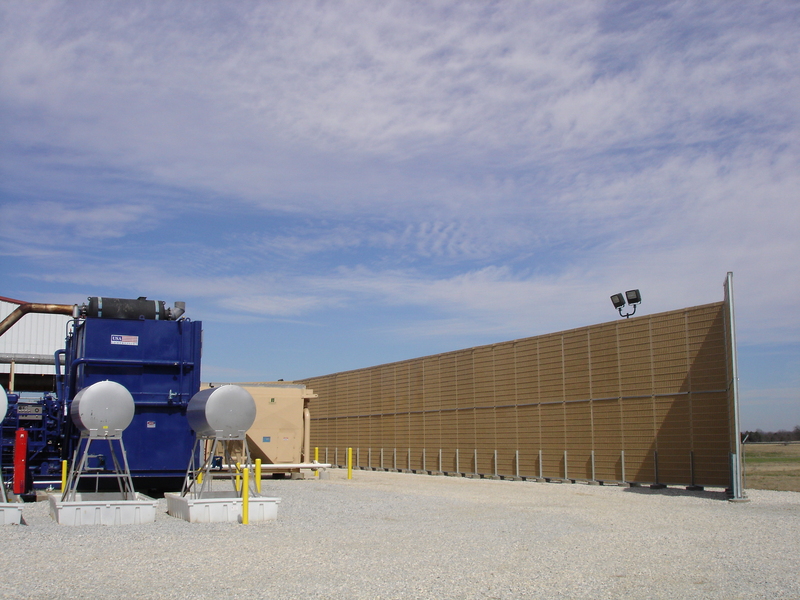 How Do E&P Companies Reduce Compressor Noise? There are two primary noise attenuation techniques widely used for compressor systems. One involves a fully-enclosed, sound-attenuated building. The other involves a high-performance, sound-absorptive peripheral noise barrier. Both designs are extremely effective at mitigating noise, but there are significant differences between the two. Fully-enclosed buildings are expensive, require massive ventilation systems to prevent heat- and gas-buildup, and they require redundant, explosion-proof electrical and monitoring systems. Alternatively, a high-performance absorptive peripheral noise barrier also boasts some key features. They provide excellent noise elimination, providing only slightly less attenuation than full enclosures. Having no roof, they do not require expensive mechanical ventilation systems, nor do they create gas or heat buildup. And they are considerably less expensive than full enclosures. Potential drawbacks would include slightly inferior attenuation compared to full enclosures, as well as the lack of protection from the elements. 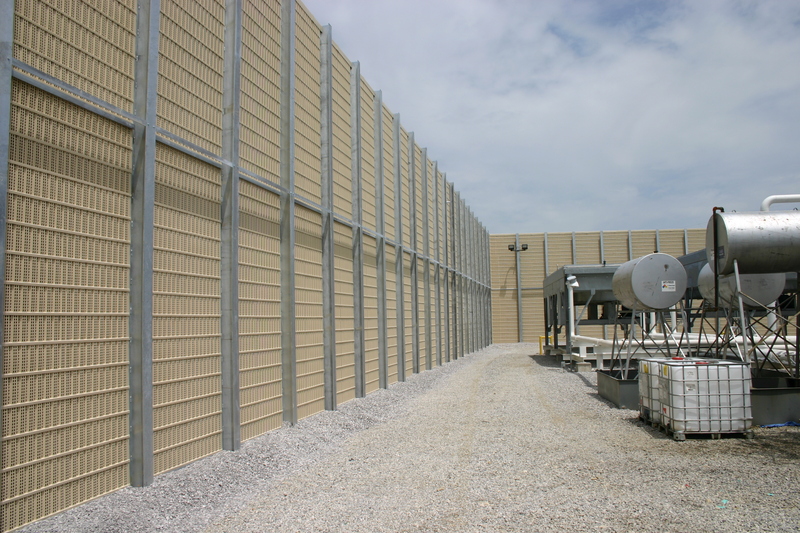 In the majority of situations, a high-performance peripheral absorptive sound wall will provide ample attenuation for less cost and fewer moving parts. And in the end, provide a welcome solution for production companies and affected landowners alike.